A hotel restaurant-bar called Thunderbolt is expected to open next year on Temple Street. Meet the couple who brought coffee to the Verdugo Village section of Glassell Park. And find out more about the closure of a long-time Echo Park Mexican bakery. 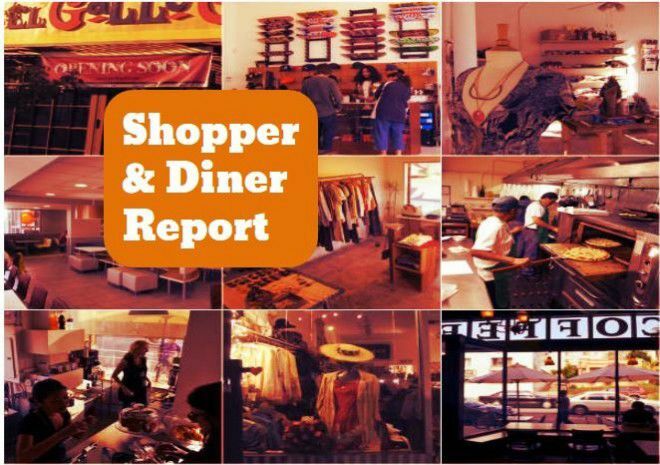 Read on for Shopper & Diner news. Eater L.A. has an update about the new hotel restaurant we told you about last year. Construction is apparently underway at Thunderbolt, the name of the new restaurant taking shape in the former Dinner House M space. Scheduled to open by springtime next year, Thunderbolt will serve cocktails and dinner with the possibility of brunch and lunch sometime down the line. There’s also talk among the Thunderbolt team of revamping the Knight’s Inn into a boutique hotel. No telling how the two will go hand-in-hand or if they even will, but we’ll keep you posted! Thunderbolt is at 1263 Temple St. in Echo Park. Specialty coffee and Australian influenced small bites are what’s happening at Little Ripper Coffee in the Verdugo Village section of Glassell Park, Voyage LA reports. The coffee shop is the brainchild of New York City transplants Lorena Jurado and Rex Roberts, who speak of their hard-learned mistakes, final push to open with a Kickstarter campaign and community support in the Q&A interview. Little Ripper Coffee is at 4155 Verdugo Rd. in Glassell Park. Freedman’s has taken Taco Bell’s Crunchwrap Supreme to another level, Time Out Magazine reports. The Silver Lake Jewish-ish deli serves its version with loads of pastrami during late-night service on Thursdays from 10:30 p.m. to 2 a.m. The Crunchwrap is also available on the Caviar delivery service. Last week we told you about Celaya Bakery closing down after nearly 50 years in business. Now, The Eastsider has more details about the closure, the family that owned the Mexican bakery and the new tenant. For those looking for a new panaderia, head to La Espiga at the corner of Glendale Boulevard and Scott Avenue for freshly-baked pan dulce, bolillos and other Mexican baked foods.